Senna, Best of His Time. Not much more to say other than, this documentary is going to be great. A great race car driver died before his time. 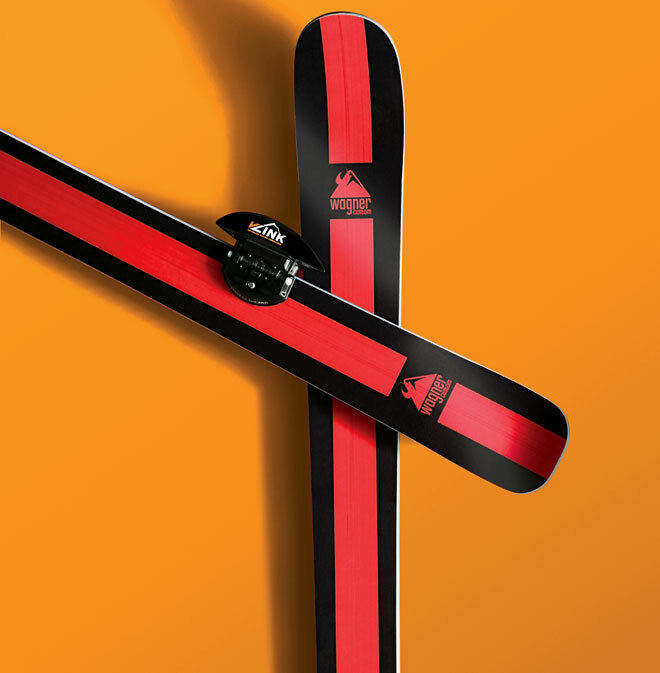 Your skis can track your movement, compiles the results, Wagner and give you the feedback. Who would not like an actual representation of how you skied based on real number. Talk about improvement. vLinks, which analyze every nuance of your form—from speed and turn radius to slippage and imbalances. The vLinks are essentially souped-up optical mouses that grab data 6,500 times per second to track movement spatially along X, Y, and Z axes and rotationally, capturing pitch, roll, and yaw. After your day on the slopes, Wagner runs the numbers through proprietary software and combines them with the results of an in-depth questionnaire to craft truly custom equipment. If you shoot with a Nikon D80 DSLR, you know the value of keeping your investment safe and secure—whether taking images of a child’s first steps, an auto race, the perfect sunset or a pro assignment. Camera Armor is the lightweight, skin-like covering your camera always wears while you take your D80 anywhere. It’s like an extra insurance policy, safeguarding your gear from bumps, scratches and abrasions. It’s engineered specifically for this popular DSLR model, so you can relax as you shoot, knowing your valuable camera and lens are protected. The precise fit covers all of the important parts of your DSLR camera to protect it from impact, abrasion, dust and fingerprints without sacrificing any necessary camera functions. Camera Armor provides true “protection in action” and is uniquely designed so all of the camera controls and access ports are completely functional and accessible. Put Camera Armor on your camera and it’s protected while in a bag, backpack or suitcase, and while you’re getting that perfect shot. Low Tech Solution, High Tech Design, IT Clips! You bike, sooner or later you will get a flat, some might fix that flat, after time replacement of that inner tube will be inevitable. Then what, garbage, anti chain slap protection, etc. Well thank to IT Clips has made using those deflated inner tubes useful again. Millions of inner tubes are tossed into landfills each year. Help decrease our environmental footprint. Recycle! Re-use your bicycle inner tubes! Ever needed a bungee cord or tiedown, but never had the right size? Not a problem with IT Clip and IT Hook fasteners. They’re adjustable and easily linked. Concerned about tearing clothing with bungee hooks? Not a problem with a couple of IT Clip buckles. Looking to reduce space and weight while camping? Try carrying IT Hook and IT Clip fasteners instead of rope to tie rainflies, attach sleeping bags to backpacks, and more. Ok, so you get done with a long run and want to take a hot soak or if you are old, a cold bath. 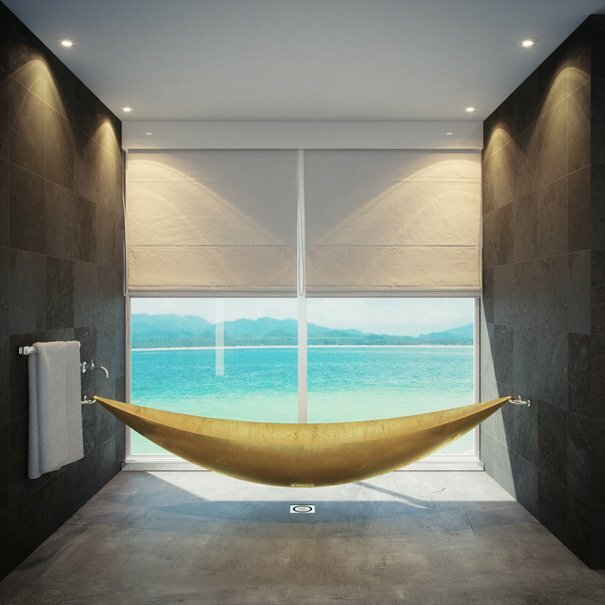 Nothing beats this design, you will at least be comfortable and able to rock yourself to sleep. Made from Carbon Fiber, Vessel is not only a work of art but a breath of fresh air in a concept that has not been improved on since its inceptions. Congrats Splinter Works you have inspired all bathroom manufactures, hope you patented the design. This is a special 8 layer application of ultra bright glowing superluminova photoluminescent material. 316L surgical grade Stainless steel or tungsten carbide. Thick top grade Sapphire crystals. Double sided anti-reflective crystal coating. Top grade straps or bracelets. Hard PVD bead blasted coatings on some models. Large case designs. 38mm-50mm sizes. Exclusivity. All watches are numbered limited editions. 100 meters/330 ft. minimum water resistance minimum. Full feature heavy duty movements. Lifetime battery replacement on quartz models. Highest grade packaging and display box set. The LZ2 has proven to be a solid watch, from CrossFit workouts, to running in 12 inches of snow, it does what it should tell time, spot on. Along with it being black/blue face depending on the light, big numbers to read at all time in all conditions, date and a band that gives off a leather presence but is actually rubber. If you need one watch this would be my choice. One and Done. Collectors should all have one in their box. Ok, so it does say for MX but really could be used for Skiing as well. You get first person center of the head, video capture 1080 or 720.
he goggle contains a 136 degree (FOV) wide angle lens to capture all the action for all Offroad Sports. The hands free unit has a 5.0 MP camera mode and a video mode that records HD720P video at a rate up to 30 frames per second with audio. The Impact Series HD can hold a Micro SD/SDHC Card up to 32 GB. Product includes a 4GB Micro SDHC card and a Rechargeable Lithium Battery for 1.5-2 hrs in the HD Video Mode. With the use of a micro SD/SDHC card, the camera is capable of recording thousands of photos or hours of HD video and can be downloaded to a computer through the High Speed USB cable provided, or through a Micro SD/SDHC card. The Impact Series Goggles can be customized to fit a variety of single and dual vented lenses for different environments. The lenses are made of an optical Lexan material which is durable and impact resistant and 100% UV protected. The lenses come with an anti-fog treatment and include Iridium lens coating for accurate Light Transmission. The Impact Series Goggles can be converted to a Snow Goggle by changing the lense, nose guard, and strap for Xtreme Sport Action during the Winter. Many times you wonder why things take so long, well I guess since it takes so song this is a good thing, even great. Cerevellum is the ultimate riding companion that allows a cyclist to clearly see what is behind them without rotating to look or using cumbersome clip-on mirrors. Potential hazards can be all around you, but now you can keep your focus on what's ahead. In competition, just imagine how nice it would be to know that you're gapping the peloton. A 3.5" Transflective LCD display is featured for easy viewing in direct sunlight. It is illuminated for low-light conditions. The Micro-Camera Lens with Integrated LED Tail-Light is attached directly to the seat post. The streamlined design affords a clean, integrated aesthetic. The tail-light can be set to steady on, flashing, or off. Leave it to the Swiss to make travel a bit more civilized. SwissRoomBox has come up with a product that compartmentalizes are your stuff. Pick a box and it might be a shower, another might be a sink. Have you ever dreamt of carrying your home in the boot of your car? This is true for most cars belonging to the categories: Compact cars, Station Wagons, Ludospaces, Monospaces, 4x4, Mini-Vans. Four basic practical and intelligent modules, each of them having alone or combined, its functionality. The swissRoomBox deploys its multiple facets by revealing the kitchen, the shower with the luxury of hot water, the table with its variable sizes and the sleeping room with panoramic view ! Are you kidding me, almost 6 years ago I worked on a EHR for Highmark a BCBS out of Pittsburgh, to say it was cutting edge at the time is an understatement. Not sure what the resistance is, they get money back if they invest and I am pretty sure it is mandated to be done by this year. People want to manage their own records, give permissions to their doctors, parents, loved ones, insurance companies, this really is one place that our government should be focusing more energy. The United States is spending considerably less on networking and information technology research than is suggested by official tallies and would benefit from both a larger investment and improved long-term strategic planning in this crucial field of research, according to an independent recent report released by the President’s Council of Advisors on Science and Technology (PCAST), a group of presidentially appointed experts from academia, non-governmental organizations, and industry. The report, “Designing a Digital Future: Federally Funded Research and Development in Networking and Information Technology,” examines the Nation’s Networking and Information Technology Research and Development (NITRD) Program. That 19-year-old program, which encompasses work in more than a dozen Federal agencies, is the primary mechanism by which the Federal government coordinates its investments in unclassified networking and information technology research and development. PCAST examined both the coordinating program and the NITRD research portfolio itself. The PCAST report found that EHR adoption is nowhere near its potential and will actually require more investment of time and resources, even more than the $27 billion already allocated. The report also found that up to 80 percent of physicians lack even some of the simplest electronic records and those that have been created, are limited in functionality. The report finds that advances in networking and information technology (NIT) have been key drivers of economic competitiveness and have accelerated the pace of discovery in virtually every area of science and technology. It calls for robust funding of NIT research and development to continue that trend. But it finds that a substantial fraction of the NITRD spending reported by participating agencies is apparently being allocated to activities other than NIT research and development, such as the creation of information technology products and infrastructure expansion in support of research in other fields. Although these activities are valuable, the report concludes, the result is that far less than the $4 billion-plus indicated in the Federal budget is actually being invested in NIT research and development—the important, early-stage innovative work that will be crucial to addressing critical priorities and challenges in the years ahead. Hexpad® Technology is a patented padding system that permanently bonds dozens of individual athletic pads into fabrics. Because the pads are individually applied, they move with and conform to the body for continuous protection that isn't bulky or restricting like other pads on the market. Hexpad® is even machine washable allowing the development of a new generation of apparel that incorporates protection right into undershirts and pants, unlike anything seen before. Hexpad® Technology allows the replacement of your existing undershirts, pants, and pads with true performance products. Kids, who does not want to be one again. Kelly Sildaru / Playground from Sildaru on Vimeo. 9 years old and tearing it up. What a life, and notice when she falls no pain. Gets right back up agian and goes at it. After the WiFi body scale, what more could you ask for, well Withings thought a blood pressure monitor would be a great idea. The Withings application runs automatically and makes the measurement available with a single action. Detailed results are displayed, and the application will indicate the recommended values, using all the display qualities of the iOS device. What else could you ask for, $129!